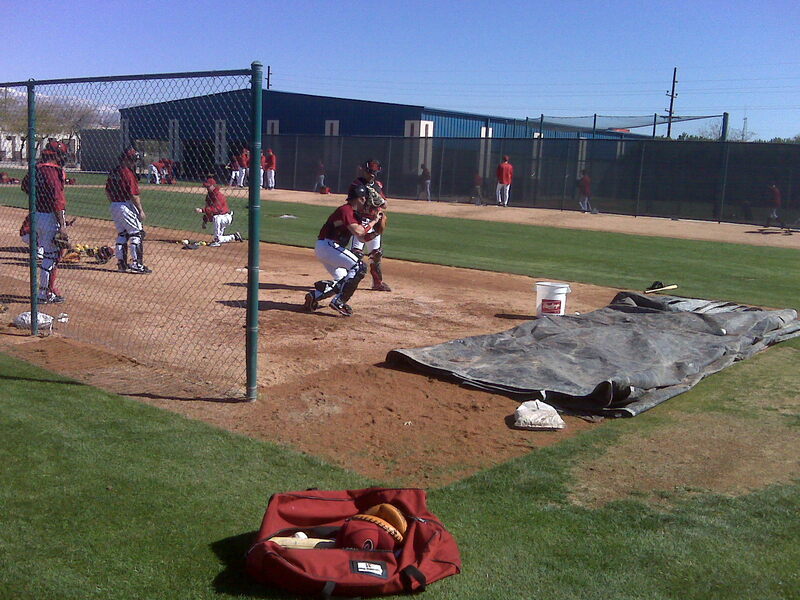 Non-catcher position players are out on the fields this afternoon going through some drills, but the first full-squad workout is tomorrow morning, and D-backs manager A.J. Hinch can’t wait. “I’m probably a little more on edge (than usual) today because I’m ready to get everybody in the same room,” Hinch said. “We’ve gotten off to such a good start, both in environment and mentality that I’m anxious to incorporate more guys into that. Edwin Jackson is already becoming something of a favorite in these blog parts. In three conversations with him now — the day he was acquired, at Fan Fest and again today — he’s been approachable and enjoyable to interview. 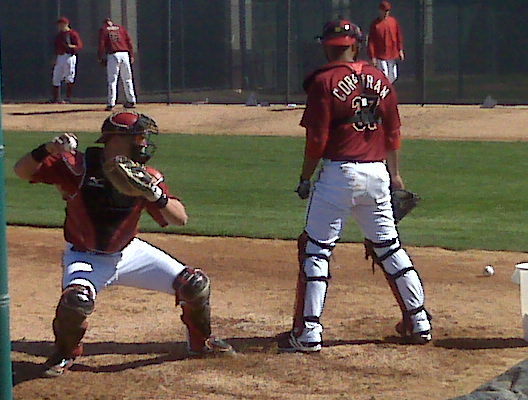 He already seems to fit in nicely among the rest of the players and Hinch noted being impressed with his bullpen sessions. Here’s a snippet of my interview with Edwin. He’ll be on the cover of the first issue of D-backs Insider — you can grab one on Opening Day and throughout the first homestand — with more extensive info.